From time to time, it’s a great idea to set challenges for your kids. These should be fun activities that are possible for them to complete. This will help them to develop creativity and problem solving skills. More importantly, they will build their confidence as they succeed. As long as the exercises are fun, it will never be a chore and they will see them more as games. In this list, we recommend 12 challenging activities that you can set for your children. These challenges will encourage them to come up with creative methods and solutions to complete the task. Some of these activities require a little preparation and some don’t require any extra materials. Tape your kids thumbs to the side of their hands and challenge them to do basic tasks such as opening a door or using a phone. Be sure that the tape is not too tight as you don’t want to hurt them, but you may want to use something strong such as duct tape. It doesn’t sound too difficult since they still have all their fingers, but it’s surprising how much we use our thumbs! 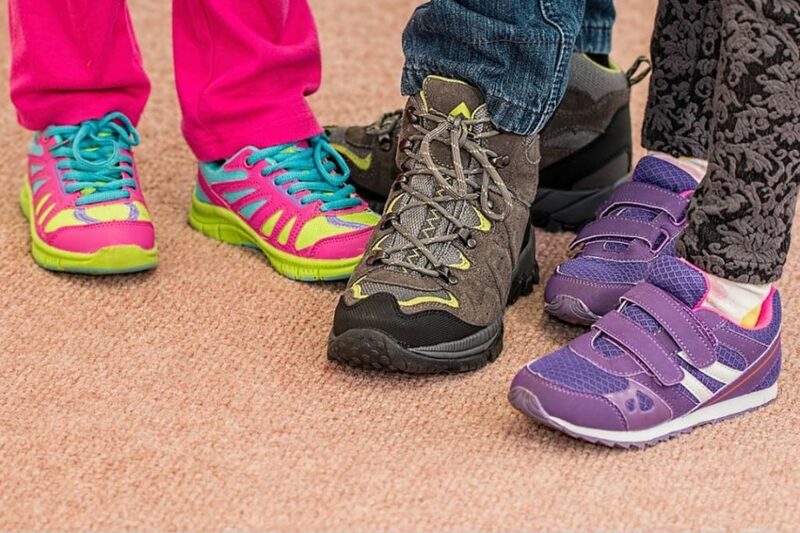 If they get through the basic tasks, have them do something even more challenging such as writing or tying shoelaces. Rather than restricting their thumbs, have them try to do everything with their non-dominant hand. If they’re right-handed, they have to complete tasks with their left hand instead, or vice versa. This won’t work with ambidextrous youngsters though! Challenge them to write their name or brush their teeth. Moving further down the body, you can also have your kids try to carry out similar tasks with their feet. They can try basic tasks such as picking things up and opening a door, but also drawing and painting. They’ll definitely enjoy seeing their own feet-art! Easy in principle but not so much in practice! The goal here is to build a structure out of playing cards; a house and a roof. 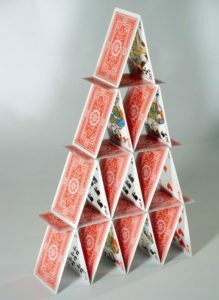 Balancing cards on one another is not easy and it becomes more difficult as you build up the cards and they get higher. Plus, changing the shape when you get to the roof will make the structure even more wobbly. Have your little one rest the back of their hand on the same shoulder, so their elbow should be pointed out and the underside of the arm facing up. Then they place a coin on their arm, just above the elbow. The idea is to quickly draw your elbow into your side so that the coin flies into the air, and at the same time, flip the arm over so that they can catch the coin. It’s tough to catch just one coin but you can up the ante by having them catch a stack of coins. 6. Can you wiggle your face? Best played in a group, have your kids see who can wiggle different parts of their face without moving the whole thing. They can try wiggling their ears, nose, eyebrows or go cross-eyed. This will get lots of laughs as they see that some people can do it and some can’t at all. It’s also interesting to see the direction in which they wiggle their features, can your nose go up and down as well as side to side? The rules are simple: do your best accent! Deciding the accents is half the fun; your kids could write down countries and challenge one another. They could pick the countries from a hat or even choose on a globe. If they don’t know how their chosen accent should sound, they should make it up. Alternatively, you could have them watch videos of different accents and try to imitate those. This can be fun if you want to tackle regional accents in the UK or the States for example. Have your youngsters carry out tasks or games blindfolded. The idea is that the games should be something they would usually do being able to see. For example, you could ask them to draw a picture, even describing exactly what you want them to draw. Tasks could also include making something from playdough or clay, or pouring water into a container. You may want to take some of these outside as they can get messy! Pretty straight forward; players have one minute to complete these challenges. You just need to time them and see how far they get in one minute. The tasks should be possible to complete in one minute, but not easy. Some ideas include having all of the picture cards in a deck shuffled and face down, and then players have to sort them into their suits in order. Or stacking chapsticks in a tower using chopsticks to pick them up. More ideas can be found here. Similar to the one minute games, these challenges have to be completed in seven seconds. The ideas are quite different from the minute games because these challenges need to be possible to do in seven seconds and have a fun outcome. The goal is to see how you do in seven seconds rather than whether you can actually complete the task. For some great ideas, check out this list. You’ll need an even number of players for this game as everyone will need to pair up. One person sits behind another and threads their arms through the first person’s arms. The first person should put their hands behind their backs to make their arms into a loop. Then the first player tells the second one what they are doing. Players could brush their hair or teeth. The idea is that the tasks involve both players. One person has to imitate a person and the other players have to guess who it is. They can act out celebrities, characters or people you all know such as teachers or friends. The catch is that they can’t say anything that will give it away. This includes any popular catchphrases or descriptions of the person’s appearance. They need to use gestures and their voice to try and portray the person as best as they can. Check out more games for kids here!